Womens Care Consultants – Dr. Jennifer Meyer, M.D. Jennifer Meyer was born in St. Louis but grew up in Wisconsin. She received her undergraduate degree in 2001 from St. Louis University. In 2005 she graduated from St. Louis University Medical School where she received numerous awards including entry into the Alpha Omega Alpha National Honor Medical Society. Dr. Meyer completed her internship and residency at Barnes Jewish Hospital/Washington University in 2009 where she was awarded with Excellence in Laparoscopy. She currently is a fellow of the American College of Obstetrics and Gynecology and has been board certified since 2011. 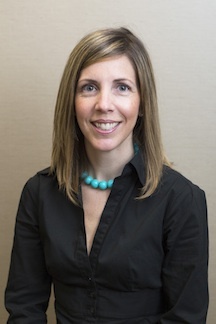 Dr. Meyer has been in private practice in St. Louis since 2009 and will be new to Womens Care Consultants as of 2014. She has been consistently listed as a Best Doctor in the St. Louis Magazine since 2011. She has a passion for following evidence based medicine. Preconception counseling, contraceptive options, immunization guidelines, and weight gain and exercise in pregnancy are just a few of Dr. Meyers special interests. She is happily married to Greg and a mom of three children, Maddie, Nolan, and Emerson. Though she is a working mom she continues to deliver at least 95% of her pregnant patients. She is a proponent of the minimal use of episiotomies, labor inductions, and assisted deliveries.